The Times Square Alliance turned to I-SITE to partner on the redesign of the official Times Square website that serves both the 230,000 ‘locals’ who have made the area their home or place of work, and the 40 million visitors from around the globe who visit each year for the truly unique Times Square experience. 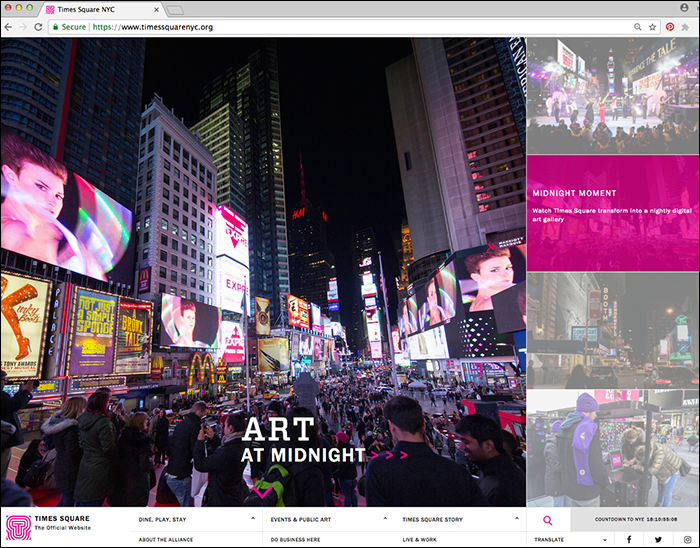 The Alliance challenged the I-SITE team to visually and elegantly convey the energy of area while presenting a wealth of content that includes events, dining, Broadway Theater and the global tradition of New Year’s Eve in Times Square! As the designers and developers of the Times Square Crossroads mobile app, the I-SITE team was already familiar with the brand and the Alliance’s goals. These include supporting the community, attracting businesses, residents and visitors, and helping the area thrive. I-SITE brought to the project its extensive experience in creating award-winning Downtown websites. After completing the project discovery phase it was agreed that the architecture and navigation needed to be simplified not just for desktop, but for the thousands of visitors ‘on the go’ in Times Square with mobile devices. The team wanted the website to clearly and concisely deliver the wealth of content without compromising the compelling photography provided by the Alliance. During the planning phase the I-SITE team developed user flows, wireframes, a plan for integrating the Alliance’s Salesforce data and an approach for managing and storing a large library of high resolution photos. Drupal 7 was selected as the CMS based on the depth of site content, security and administration requirements, and data management. Post-launch the I-SITE team will continue to support the website and work closely with the Alliance on adding new features and enhancements. Since launch the website has received accolades both from the digital world and peers of the Alliance’s from around the globe. 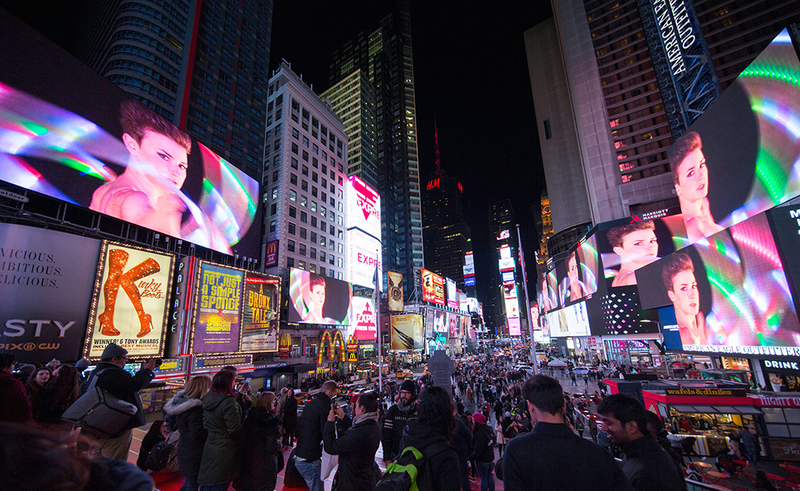 Plan your Times Square visit but not before you have checked out the new Times Square website!